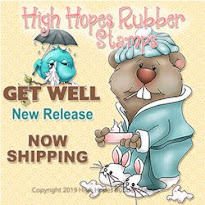 High Hopes Stamps: Hogs & Kisses! Valentine's Day is around the corner so I thought it was the perfect time to create a card using the High Hopes "Betsy Loves Barney" Stamp! 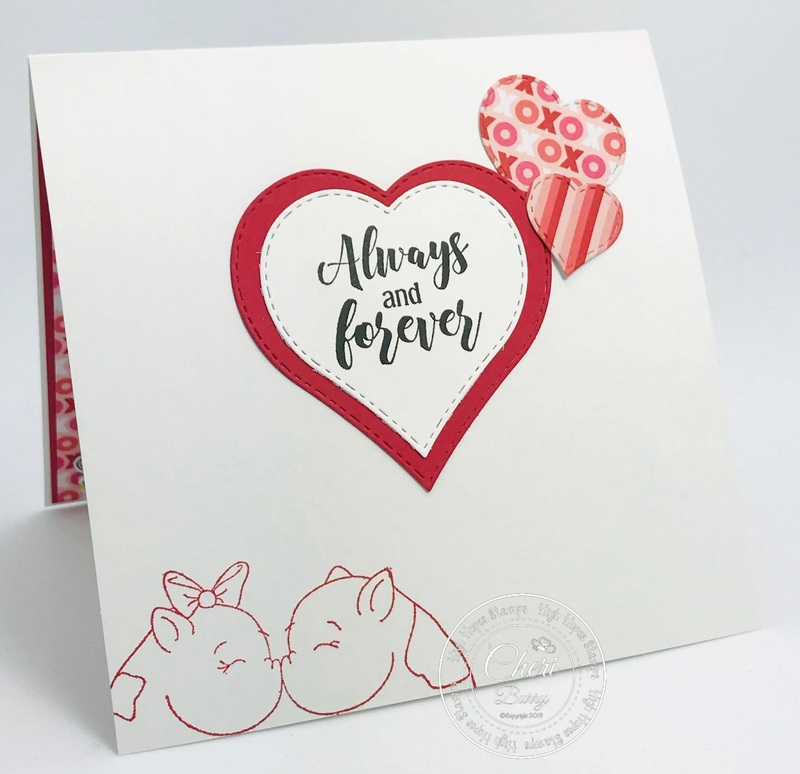 Pigs are some of the cutest images but 2 pigs in love..... just doesn't get sweeter than that! 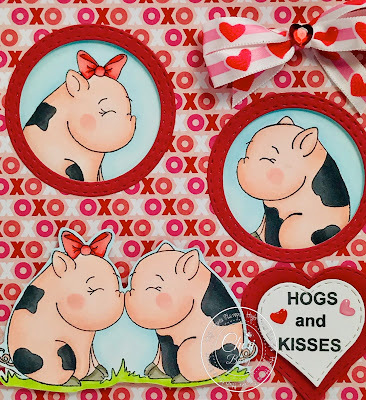 I decided to mask off each pig and stamp them separately to create my little windows and then stamp the whole image. I imagine them flirting with each other and then coming together for that first kiss. My papers today are from the American Crafts "Loves Me Not" 6x6 collection. I made little circle frames from my Ai Double Stitched circle dies. It's hard to see but the "Xo" paper is popped up with foam tape so that the images are sunken down inside the frame. I took the HH "Hogs and Kisses" sentiment and cut it apart so that it could fit inside my Stitched Heart die cut. 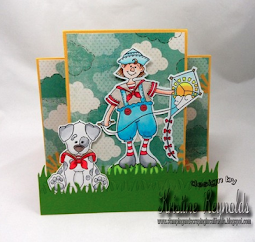 A double loop bow, heart gem and some Doodlebug Tiny Heart Sprinkles finish everything off! My decorated inside along with the HH "Always and Forever" sentiment. 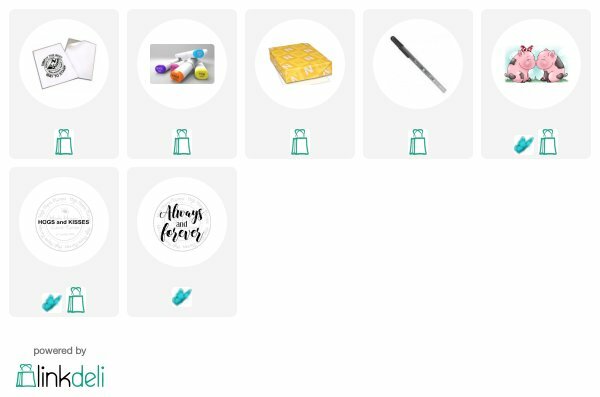 Make sure to head on over to the High Hopes and One Crazy Stamper Blogs as the Design Team will be using stamps for the theme "A Month of Love" to inspire you!